Mangaluru, Oct 15, 2016: Journalist M. Janardhan Rao, popularly known as MJ Rao, died this afternoon following massive heart attack. He is said to have collapsed while boarding a city bus near Bunts Hostel Circle in the city. He was aged 62 years. Though he was immediately rushed to Father Muller’s Hospital, he was declared dead on arrival at the hospital. 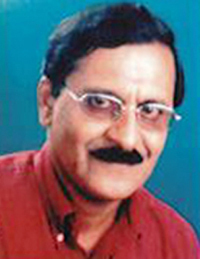 Rao was a well known Yakshagana enthusiast and cultural activist. He has been worked in the field of tabloid journalism for the last four decades. He was born in a remote village called Chevar near Manjeshwar town of Kasaragod district. He later settled at Kakkepadavu near Bantwal after a purchasing farm land there. Rao started his career as a sales man of Amrutha Patrike, then a well known tabloid newspaper of the city. He later joined the now defunct Divyavani daily in Mangalore. Later he worked under one of the founders of Amrutha Patrike, who launched a tabloid called Gold, which specialized in cheap classified advertisements. Subsequently, he took over Suma Sourabha, a literature publication founded and run by Pankaj Savanoor and uninterruptedly ran this publication for 25 years. He also instituted the Suma Sourabha Awards, by which he honoured a number of people year after year. He was planning to celebrate silver jubilee of the publication Suma Sourabha in a big way in the coming year. An ardent Yakashgana and Tala Maddale enthusiast Rao had been organizing cultural events.